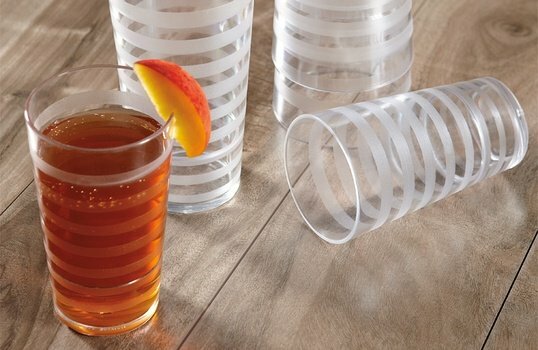 Plastic tumblers are the go-to drinkware selection for an array of high-volume foodservice providers. But do you know why you order the plastic tumblers you do? Is it because that’s just the way things have always been done? Or is it because you’re well informed about the material they’re made from and you know it’s the best option for your establishment? If you answered, “Because that’s the way it’s always been done,” you’re probably in good company. It’s hard to change habits, after all. Here at G.E.T., we believe in arming you, the foodservice operator, with the knowledge to select the best products for your specific needs. Follow us through this post as we compare the two most popular kinds of drinkware plastics, PC and SAN, foodservice operators use for their tumblers. By the end, you'll know whether you want to stick with your usual purchase or if it's time to switch. Better yet, you’ll know why. You’ve smartly decided to invest in resin-coated aluminum serve ware and cold bar systems for your foodservice operation. Now when your guests look at your cold bar, they're greeted with clean lines, sophistication, and bold vessels drawing them into their dining experience. Your old stainless setup could never attract the crowd you’re winning with resin-coated aluminum, especially if you're using G.E.T. 's Bugambilia® collections, Classic and Fit Perfect™. To keep your pieces looking out-of-the-box new, you’ll want to follow some basic care and maintenance. Here at G.E.T., we’re huge fans of our customers getting the very best out of their investments, so we’ve assembled a resin-coated aluminum care and maintenance guide just for you. Unless you're a foodservice operator who's mastered the art of levitating food, your food is going to come into contact with surfaces. A lot of them. Our food is constantly in contact with something at every point in its life cycle. As a foodservice operator, your #1 priority is the safety of your guests and staff. Period. It doesn’t matter how delicious a dish is if it comes into contact with an unapproved surface resulting in illness or injury. Your guests count on your food safety knowledge every time they visit your establishment. And we want you to count on us at G.E.T. to light the way toward excellent tabletop execution, especially when it comes to food-safe surfaces. We first heard the now-iconic phrase, "You don't win friends with salad," borne of a The Simpsons episode, nearly 22 years ago. But we're willing to bet that a modern-day rewriting of the phrase would be just the opposite. Today's diners are more health-conscious than ever. The restaurant industry has responded by adding salads to their menus, in turn leading to more salad bars. 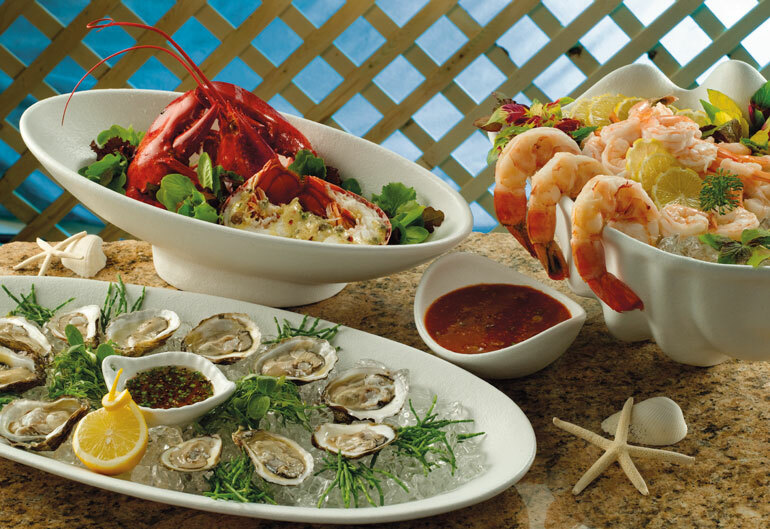 Recently, Ruby Tuesday touted their salad bar, and Sizzler upgraded their look in the last few years. Restaurants aren't the only ones incorporating salad bars. College, university, and corporate dining campuses, casinos, and hotels all embrace the healthy self-serve option. Indeed, you do win friends with salad. Salad bars, ice cream bars, and frozen yogurt bars may occupy different ends of the health food spectrum, but they all have one thing in common: Ingredients need to be kept at or below 40°F to stay within the temperature safety zone. Bar-style service often goes hand in hand with refrigerated cold wells. 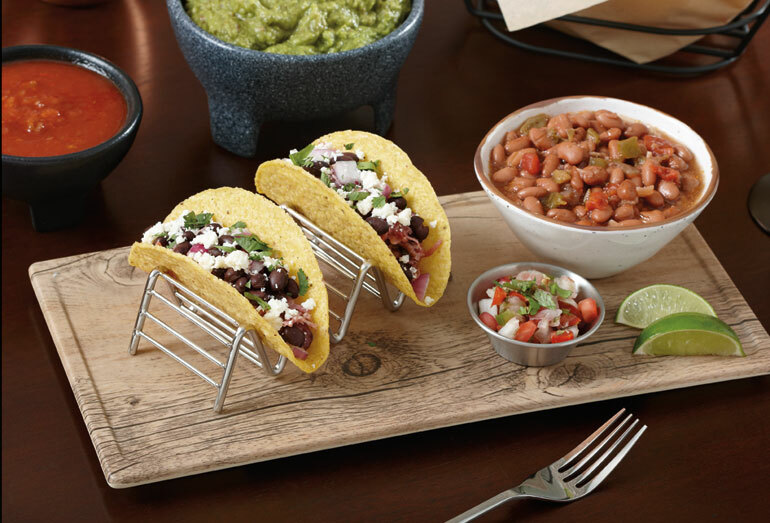 Cold wells allow you to use different sized food pans to get just the right configuration of your products depending on what you're serving. Foodservice operators have a few options regarding systems that hold food pans in place on cold wells. Two popular options made by Bugambilia® are the Tile and Fit Perfect™ systems, which feature unique, resin-coated aluminum food pans. We're going to compare these two systems to give you an idea of which one might be best for your cold well service because here at G.E.T., we always want our customers to know their options. What Happens if You Put Melamine Dinnerware Under Food Warmer Heat Lamps? 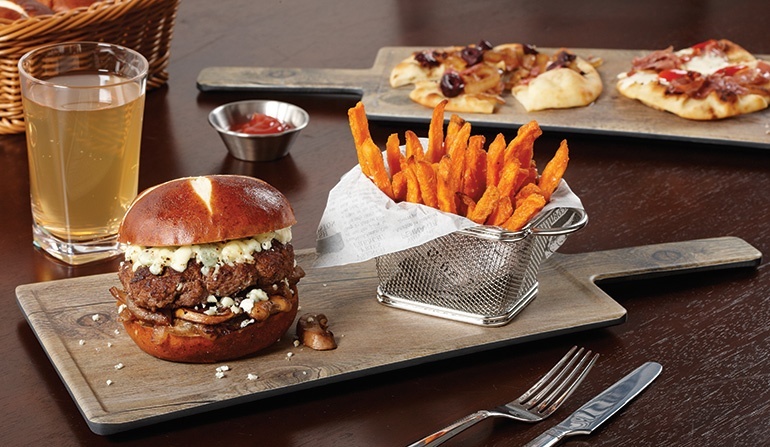 Foodservice operators have enjoyed melamine dinnerware for decades due to its range of applications, stylish yet functional designs, and low replacement rates compared to china. If you're a seasoned melamine dinnerware user, you're probably familiar with the recommended restrictions when it comes to heat exposure. Broadly speaking, melamine plates shouldn't be exposed to more than 160°F, which means it shouldn't be microwaved, put in the oven, or used with heat lamps. Here at G.E.T., we've spoken to foodservice operators who have dutifully followed these recommendations, but they don't know why. Fortunately, with our 30+ years of experience and as a leader in the category, we're perfectly positioned to answer the why behind these recommendations. 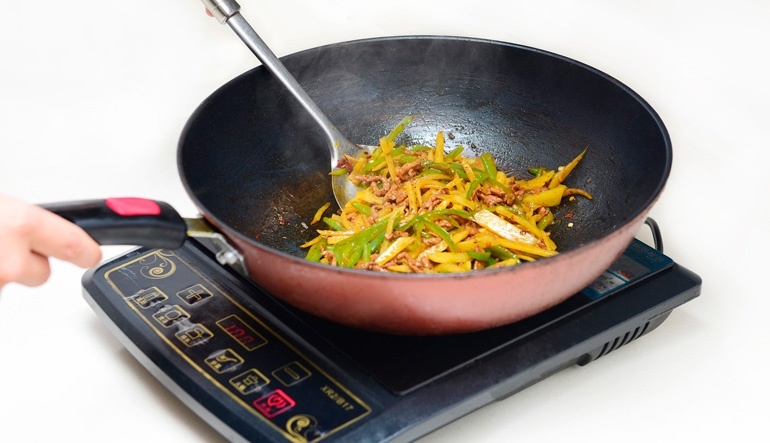 So, what happens if you put your melamine dinnerware under a heat lamp in a commercial kitchen, and what does it mean for your foodservice establishment and guest experience? Plenty of foodservice operators know cold bars (aka cold wells) are wonderful tools for accommodating salad, ice cream, frozen yogurt bars, and pretty much any kind of cold food you'd want to mix and match to delight your guests. 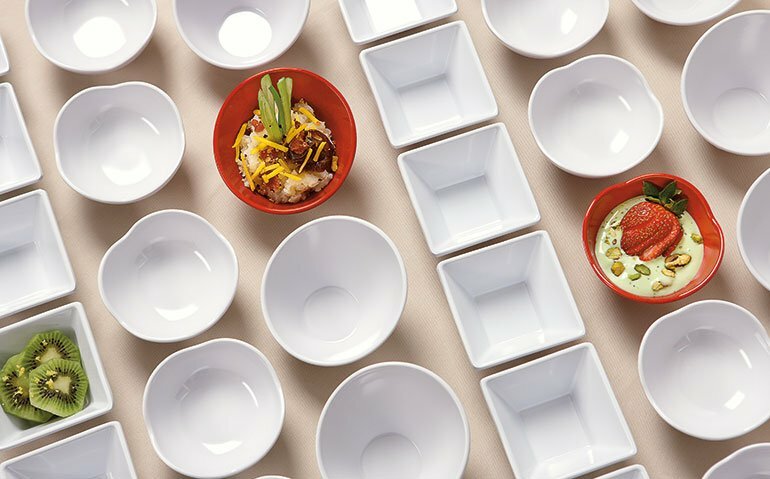 They're especially popular and useful in high-volume foodservice at college, university, and corporate dining facilities because guests often serve themselves. But what if you want to rearrange your cold bar setup? Historically, this has been cost - and time-prohibitive for operators due to the restrictive nature of commonly used tile systems for housing food pans.